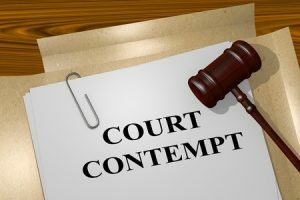 When someone fails to follow a court order for payment of support, or when someone fails to perform any action that has been ordered by the court, that person can be held in contempt. In egregious situations, a party can be ordered to jail until they comply with the court’s order. Not all orders by the court are punishable by contempt. At Caplan Bankruptcy and Family Law Firm, we work with each and every one of our clients to deeply understand their situation, offering the best representation possible. Contact our office today to learn more about your options and the legal process related to your specific set of circumstances. Our team will guide you through this difficult time.